As a young child growing up in Morocco, Badr Idrissi would regularly take apart his household’s television or VCR in an effort to understand how it worked – often to the frustration of his family. His love for technology later drove him to complete a telecommunications engineering degree, and work at global giants such as Microsoft, Nokia and Siemens. Idrissi is a 2017 Innovation Prize for Africa finalist for developing pioneering artificial intelligence software to manage the operations of environment-defending drones. The venture was inspired by his concern about the environmental and ecological threats (such as illegal fishing, poaching and deforestation) facing many African countries. For instance, a large percentage of fishing activities off the West African coast are illegal, resulting in huge economic losses. Idrissi’s answer is drones (or unmanned aerial vehicles) – which cost a fraction of the price of traditional surveillance planes. In 2015, Idrissi and a friend, Younes Moumen, started developing artificial intelligence algorithms for drones to allow them to identify illegal economic activities (such as unauthorised fishing, smuggling, poaching and deforestation) and instantly alert relevant authorities. These algorithms guide the drone to respond to various scenarios – like following suspicious boats to track their course. Last year Idrissi and Moumen co-founded ATLAN Space, the tech company responsible for marketing and selling the artificial intelligence software. While they haven’t monetised it yet, Idrissi says the company is in advanced talks with various potential clients. He adds that using drones installed with ATLAN Space’s software costs about a third of using piloted light aircrafts. Idrissi says he would like to see Africa build its own global tech giants. “I grew up seeing entrepreneurial models like Bill Gates or Steve Jobs or others that succeeded in the US and I was always wondering how we can make [similar] amazing achievements in Africa,” he recalls. 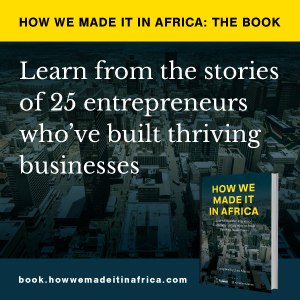 Idrissi, who has also recently completed an MBA, says his happiest moment since launching the company was when potential clients started to contact ATLAN Space, without any marketing. “This is simply because there is just no other specific technological solution that is tackling these problems,” he explains. His message to other aspiring innovators is that they don’t need large sums of money to introduce new solutions. “If you provide good value to customers, partners or investors, the money will come. Something I was hearing a lot when we first started this project was that this is a million-dollar project and we will not be able to succeed because we need a lot of money… This is a common idea that has prevented a lot of people from entering the entrepreneurial space,” he adds.